Partition and post-colonial migrations - sometimes voluntary, often forced - have created borders in South Asia that serve to oppress rather than protect. Migrants and refugees feel their real home lies beyond the border, and liberation struggles continue the quest for freedoms that have proven to be elusive for many. States scapegoat refugees as "outsiders" for their own ends, justifying the denial of their rights, while academic discourse on refugees represents them either as victims or as terrorists. Taking a stance against such projections, this book examines refugees' struggles for better living conditions and against marginalization. By analyzing protest and militarization among refugees, the book argues that they are neither victims without agency nor war entrepreneurs. Through interviews, surveys, and statistical analyses, it shows how states have manipulated refugee identity and resistance to promote the ideal of the nation-state, thereby creating protracted refugee crises. This is evident even in the most humanitarian state intervention in modern South Asia - India's military intervention in East Pakistan (now Bangladesh) in 1971. The findings put forward provide the basis to understand the conditions under which violence can break out, and thereby have implications for host countries, donor countries, and aid organizations in the formulation of refugee-policy. 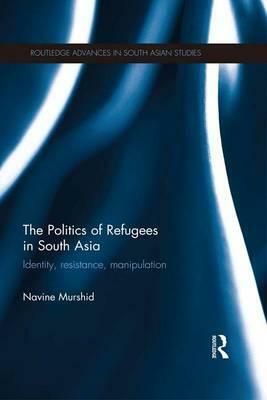 The book is of interest to scholars in the fields of South Asian studies, comparative politics, international relations, refugee studies, development studies, security studies and peace studies.